When working with complex rigs, you may want to group layers together to avoid cluttering the Timeline view and keep your layers organized. Groups can also be useful if you need to apply the same effect to several layers at once. 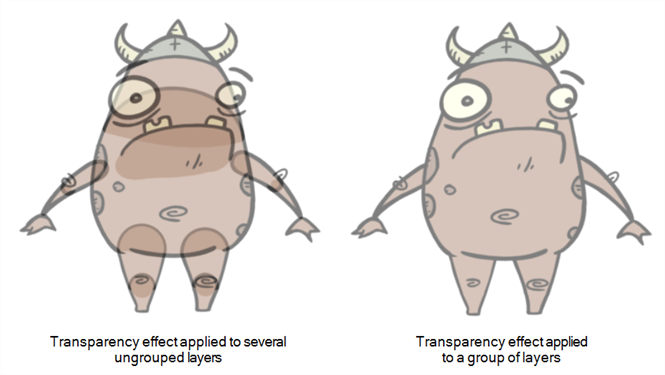 For example, if transparency is applied to each individual layer making a character rig, the seams between its body parts will become visible. Instead, grouping all of the rig's layers together, and adding a Transparency effect to the group will make Harmony compose the layers inside the group together before applying the effect.